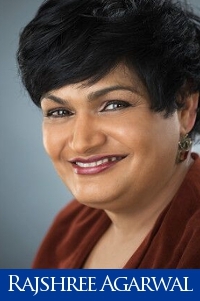 Rajshree Agarwal is the Rudolph Lamone Professor of Entrepreneurship and Strategy at the University of Maryland and the Director of the Ed Snider Center for Enterprise and Markets. Professor Agarwal conducts research on the evolution of industries, firms and individual careers, as fostered by the twin engines of innovation and enterprise. Her scholarship uses an interdisciplinary lens to provide insights on strategic innovation for new venture creation and for firm renewal. Her teaching and engagement in growth-oriented firms help business professionals advance through personal leadership, develop win-win relationships, and create a virtuous spiral between their aspirations and abilities. Professor Agarwal has received numerous awards for her scholarship and mentorship, including the “University Scholar” Award at the University of Illinois and the Distinguished Scholar-Teacher Award at the University of Maryland. Agarwal received her Ph.D. in Economics from SU NY at Buffalo in 1994. She was on the faculty of the University of Illinois before coming to the University of Maryland. An author of more than 6o studies, her research has been cited more than 8500 times and funded by grants from numerous foundations, including the Kauffman Foundation, the Rockefeller Foundation and the National Science Foundation.